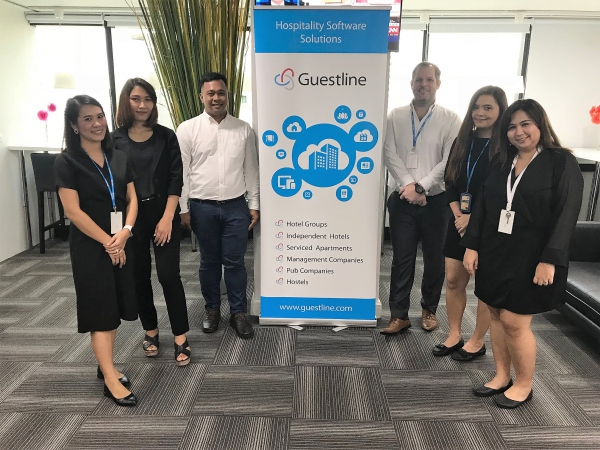 Matthew Emptage is the country manager for Thailand at Guestline – the property management company that has just won the Hotel Tech Report’s People’s Choice Award. Guestline was founded in 1991 and provides end-to-end property management, channel distribution and digital marketing solutions to the hospitality sector. 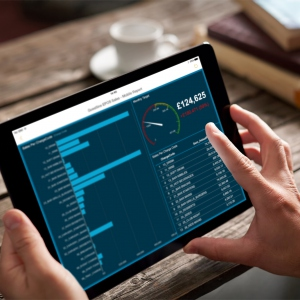 We build, develop and support cloud-based software for hospitality businesses. Across our portfolio of solutions, we enable owners and managers in hotel groups, independent hotels, serviced apartments, management companies and pub companies to manage bookings and operations both efficiently and profitably. We pride ourselves on being a leading ambassador of cloud-based technology and promoting the associated benefits. With cloud-based software, hoteliers are able to enjoy a more flexible, cost-effective solution, remote staff access to key property management system functions, easy deployment and automatic software upgrades. All of these can improve efficiencies and revenues; this software is flexible and our team is experienced enough to operate very effectively across all of these hospitality segments. At Guestline, we believe what sets us apart is our recognised seamless technology and commitment to first-class customer service. Guestline Labs, which was launched in 2017, marked our consistent investment in researching new ways in which technology innovation and product development can facilitate clients to operate better and grow their revenues in a cost-effective way. Our highly experienced teams provide a wealth of knowledge from the hospitality sector and are dedicated to offering worldwide support to empower hoteliers to make effective changes in their use of technology to drive big success in their business. Guestline back in 2012 as a 2nd line support engineer. This role helped me to develop skill sets and knowledge, which I see as invaluable and appropriate to my current position as country manager. 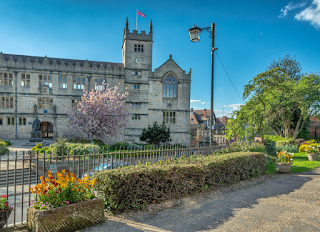 Guestline was smaller at the time, with approximately 60 employees; we were located in a small office in Shrewsbury before moving to the Business Park in 2014. At the same time, an opportunity came up to spend three months in Bangkok, to lead the support and installations for our new and existing customers in Australasia. As the business grew over the next three years, I was promoted to country manager for the Thailand office in June 2017. Now in its 26th year of operation, Guestline has seen strong growth in the last year with new office openings and expansion in the team so we’re proud that we serve the needs of hospitality-based businesses in a rapidly growing number of countries across five continents. This year will see more shifts in the hospitality market and technology landscapes and Guestline are preparing for new technology opportunities. Our plans to continue our investment in innovating new technology will help deliver greater efficiencies and greater profitability for current and new clients in the year ahead. 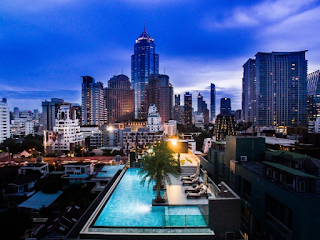 The Thailand team works from a new office location in Bangkok, where they work to guide and support hospitality clients throughout the Southeast Asia region. We are looking forward to furthering global expansion in 2018. We want to continue to position Guestline as an industry leader in providing world-class cloud-based solutions to international hoteliers. Everything we are doing is designed to enhance and streamline hospitality businesses’ operations to improve the customer journey, make the businesses more profitable, and deliver more efficient operations. The last 12 months have been particularly rewarding for Guestline as the business grew its client portfolio by 20%; we heavily invested in our presence in overseas markets and in our commitment to contributing to new hospitality software innovations. Our customers recognise our growth and have chosen to use our booking portals 30% more than last year. This has contributed to a total client revenue increase of 49%. We are already seeing a profitable start to 2018 as most recently the company has been commissioned by the boutique and budget chain B2 Hotels to undertake a rapid installation of our property management system, Rezlynx, Guestline distribution and integrations across 33 of its properties. customers. A key part of our own operations and company ethos is our unfailing commitment to delivering and maintaining excellent customer service. Rather than operating as a third party supplier, we take a strong partnership approach to working with our clients to ensure they are fully supported in their operations. The property management system is fundamental to maintaining a hotel’s operations so it is essential that not only is it efficient but also used to maximum advantage by all members of a hotel team. Essentially it is mission-critical software so it’s important to ensure it runs smoothly. Beyond Thailand, we are expanding into new territories that include Benelux, plus Germany, Austria and the Swiss (DACH) markets. In a move to extend business opportunities in Benelux, we also recently announced the arrival of Robert Vogt as director of business development. As a business looking forward to future growth and expansion of our network and footprint, via new partnerships, it is essential that we increase our global presence and continue to develop new solutions for the hospitality sector. In March this year, we launched the Guestline Connect Partner Programme, which is split into three partner categories: operation, distribution, and guest experience. Customers will be able to benefit from new interfaces across Guestline’s current portfolio of software solutions, from revenue management to metasearch bidding and upselling opportunities. This is just one example of how we are looking to grow our profile and opportunities for our customers and we are looking forward to continued growth in the future.